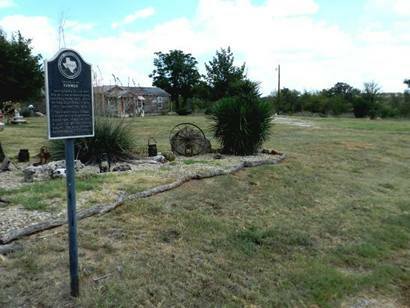 Originally named Brush or Brushy, the community was renamed to honor the Reverend William H. Farmer, who arrived in this part of young County in the late eighteen seventies. Rev. 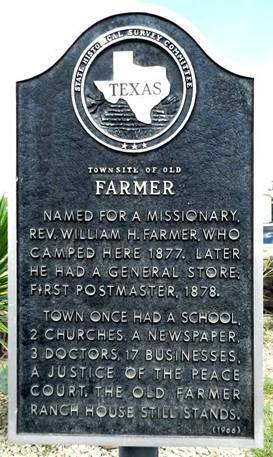 Farmer opened a store and applied for a post office which opened in 1878. A large Methodist church was added in 1889 when the population was approaching 125 residents. Businesses in Farmer consisted of a hotel, two blacksmiths, a pharmacy and a weekly newspaper. 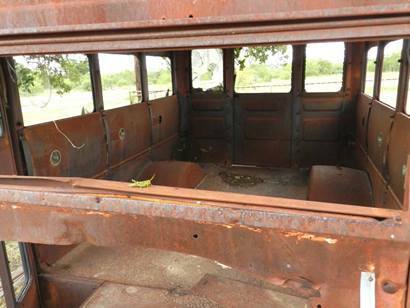 When the Gulf, Texas and Western Railroad bypassed Farmer on its extention from Jacksboro to Olney, Farmer set into a steep decline. The post office moved to Jean in 1921. 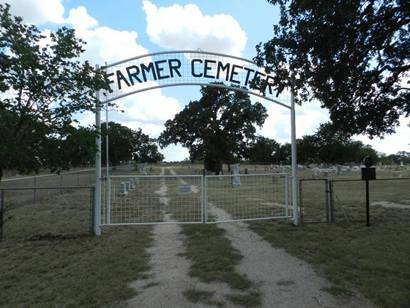 The population was reported at fifty from the 1930s through the 1940s but over time Farmer was reduced to scattered houses and a cemetery. 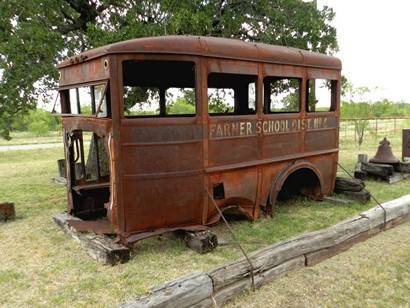 School bus - "Farmer School District No. 4"
In 1877, Baptist preacher W.H. 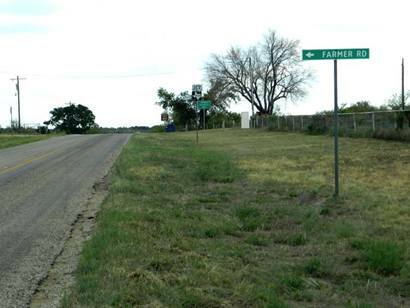 Farmer moved his family to land here. 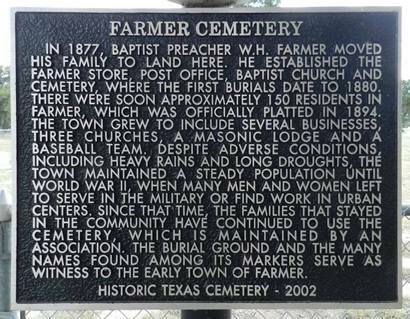 He established the Farmer store, post office, Baptist church and cemetery, where the first burials date to 1880. 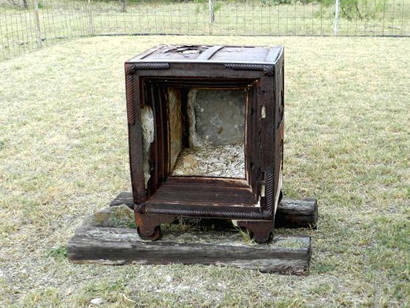 There were soon approximately 150 residents in Farmer, which was officially platted in 1894. The town grew to include several businesses, three churches, a Masonic lodge and a baseball team. 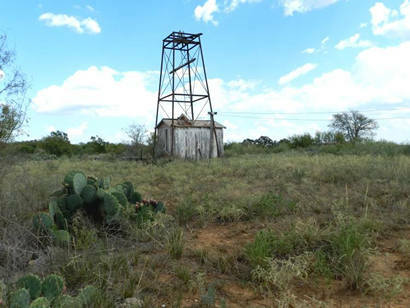 Despite adverse conditions, including heavy rains and long droughts, the town maintained a steady population until World War II, when many men and women left to serve in the military or find work in urban centers. 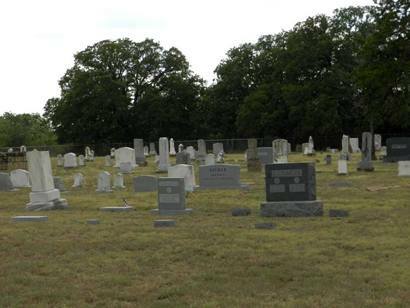 Since that time, the families that stayed in the community have continued to use the cemetery, which is maintained by an association. 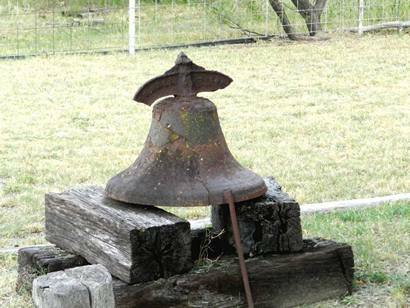 The burial ground and the many names found among its markers serve as witness to the early town of Farmer.